Here at Osiris our goal is to produce healthy, happy & sound puppies. Our puppies are raised in our home and are members of our family from the moment they are born. This allows us to properly socialize and train our puppies. We evaluate each puppy for proper structure and temperament to ensure that each is well suited for their new families. We carefully screen prospective buyers and reserve the right to refuse a sale. Our puppies are sold with a written contract and come with a Puppy Folder which includes basic training, housebreaking, pedigrees of both parents, pictures, etc. Puppies are microchipped for CKC identification and are registered with the Canadian Kennel Club. Heath assessed by a veterinarian and have received their first vaccinations. We also provide a two-year health guarantee. Every puppy bred is our pride and joy. We encourage all of our puppy buyers to remain in contact with us. We provide a 24-7 "help-line" if any owner needs help or advice at any time. If you think a Pharaoh Hound is right for you, please contact us kcarella@live.ca. We are planning our first Pointer litter co-bred with Seasyde Pointers (www.seasydepointers.com), this Fall! 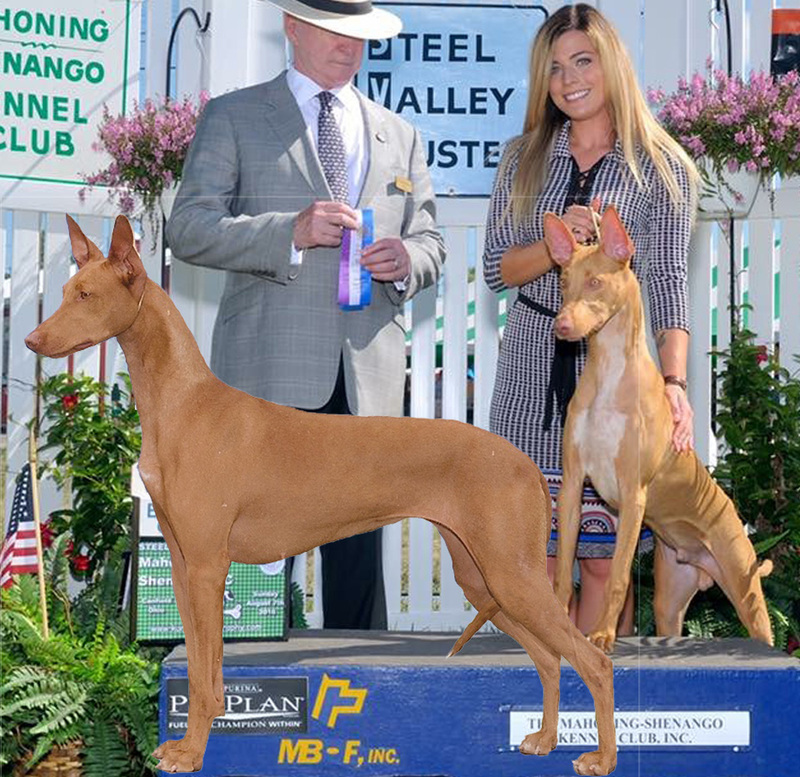 We are also planning a Spring 2019 Pharaoh Hound litter!